I have had the good fortune to have been taught by or worked alongside the giants in the field of psychological trauma: first, Judith Herman, then Bessel van der Kolk, and, most recently, Pat Ogden. And as much as these pioneers taught me, the most powerful and gifted teachers I have are my patients. These survivors have given me a window into the inner experience of the legacy of trauma, taught me what always to say and what never to say, helped to validate or disprove what the experts and theorists were claiming. It has been a privilege to learn with them and from them. Janina Fisher, PhD is a licensed Clinical Psychologist and Instructor at the Trauma Center, an outpatient clinic and research center founded by Bessel van der Kolk. 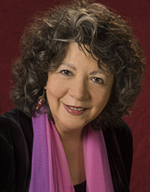 Known for her expertise as both a therapist and consultant, she is also past president of the New England Society for the Treatment of Trauma and Dissociation, an EMDR International Association Credit Provider, a faculty member of the Sensorimotor Psychotherapy Institute, and a former Instructor, Harvard Medical School. Dr. Fisher has been an invited speaker at the Cape Cod Institute, Harvard Medical School Conference Series, the EMDR International Association Annual Conference, University of Wisconsin, University of Westminster in London, the Psychotraumatology Institute of Europe, and the Esalen Institute. Dr. Fisher lectures and teaches nationally and internationally on topics related to the integration of research and treatment and how to introduce these newer trauma treatment paradigms in traditional therapeutic approaches.